Hey! Pay attention. This is important. Maybe you haven't noticed him yet, but you are missing out! It's time to learn more about Jake Smith, a.k.a. 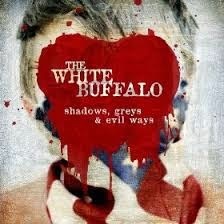 The White Buffalo. There have been a handful of his songs featured in the FX series, Sons of Anarchy, that I really liked, plus he has covered some old classics like House of the Rising Sun on the show, but I didn't take note of his new album until he appeared on the Adam Carolla podcast last year. After hearing him sing "Don’t You Want It," I immediately went out and bought the album “Shadows, Greys & Evil Ways. There is not a single track that disappoints. The manner in which the songs tie together to tell a story of love, war, disappointment, hard lives, and harder drinking has kept me playing this album over and over again. I can't seem to get enough. 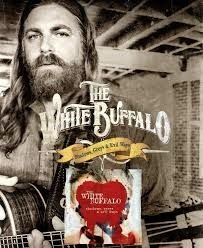 Next Friday night, I get to see The White Buffalo live at the Fonda Theater in L.A. I am so excited! But for tonight, I plan to "prime the pump" with a bottle of Jameson and The White Buffalo playlist on Pandora. I strongly encourage you to check out his songs on YouTube. Here he is sing "John Jameson." Today's Twitter Poetry - In case you missed it.